It's All About Books: Announcing The Book Thief Read Along! 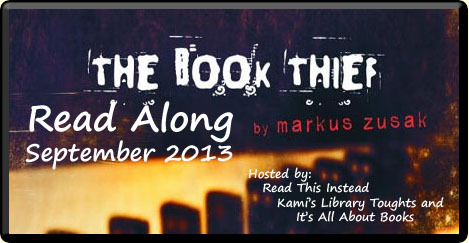 Announcing The Book Thief Read Along! It was inevitable that I would end up hosting ( in this case co-hosting) a Book Thief read along, right? So I was sitting there minding my own business on Twitter when suddenly Kathy says, "Hey, do you think I should read The Book Thief before or after the movie comes out?" Both Kami and I were like, "What? Dude! BEFORE!! Of course!" And then Kathy was all, "But, I'm sort of worried about it, and I need to read it with someone or something!" 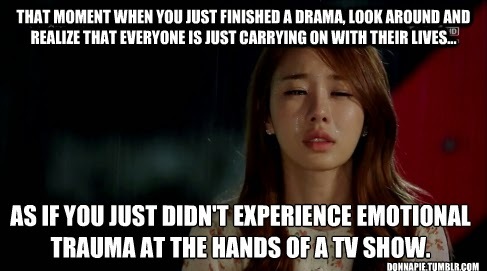 And we were all like, "AH!!! We will read with you! We can have a READ ALONG!!" Because you know, even if I've read it twice already, I'd say it's about time for another read of this book. AND, because one can never read it too many times. And now there's the movie, right? And one should read it again before the movie comes out anyway, right? Then now is the time! Sign up today to let us know you want to participate! Also, we'll be using the hashtag #bookthief to discuss it on Twitter. My particular plan is to tweet my thoughts and quotes that jump out at me as I'm reading, just like I did awhile back with I Am the Messenger. That was quite fun! So? Are you with us? If yes, then post about it on your blog (to help us spread the word) and then sign up in the linky below with the URL of the post. Then join with us on the above mentioned days for our discussions either by commenting on the discussion blog, or writing up your own discussion on your blog and linking up on the linkys for each discussion. I'm so excited! Can't wait to get started! Your post made me laugh! I'm so excited about this! Kami: Glad you enjoyed it! I'm in!!!! I want to read it but haven't done so yet! Why not join you guys? Rebecca: Why not indeed! We'd love to have you! I'm in. I will be traveling the 10th but the other days I should be available. Is the discussion done through comment sections or a chat room? Smiling: Wahoo! Yes, I'm scared about the movie, but I'll give it a chance. Here's hoping. The discussions will happen throughout the month on twitter, and then the three times listed above either by commenting on the discussion post or writing up your own post and linking up... however you want. Hopefully that makes sense! Cool. I will have the audiobook while I'm on vacation. I actually read/listened to it the last time I took a vacation and I was riding the greyhound and crying like a baby. I wonder what people thought about that! What amazes me about this book is how you can have so many developed characters. Most authors are lucky if they have 2 dynamic characters this one has so many. A side character like Ilsa or Rudy that you feel so attached to by the time they have their parting it rips your heart out. I really think it is the best book published in my lifetime. If you'd like me to contribute something to the read along I'd be happy to. I work good with assignments especially when traveling. I know I already told you, but I'll join in. :) I just won't have links. But, I'll come and join in the discussion on each host's blog when the time comes. Jenni: Perfect! I want so bad for you to read it! I did not know they were making a movie, thanks for the tip. I love this book and have read it twice. I might join In on your discussions. Kelley: I would LOVE that! I hope you do! Woo! Just got this in at the library, so you can count me in :) I'll get a post up soon too! I'm totally going to do this. I'll sign up for real when I get a post up. I'm excited!! I'm so in! I've never done a read along, but I've been wanting to read that book for FOREVER! Nows the time! Yay! Smiling: YAY! So glad you are joining in! I do love this book. I probably won't have a chance to reread it in September, but I'm hoping to before the movie. Have fun! Melissa: Yeah, I feel crazy for trying to fit it in right now, but hey, it's going to work!! Good luck with your re-read. I hope you do find time for it! Julie: Toss tomatoes? Ha! Have you found a book yet? So excited that you are joining us! I'm all for it. Thanks! I have never done a read along before, but I have wanted to read THE BOOK THIEF for some time now. Lo: We have so many newbies this time, I'm so excited! Thanks so much for joining us! turnthepage: Yay! Glad to have you! Very excited! Thanks for hosting. I think I'm going to join in, because I haven't read the book yet! Jo: Cool! Glad to have you! It's a plan. I will begin it again, and hopefully finish it this time! I'm excited for the movie, as well as other things happening this fall! I don't know if I will be able to join the discussions... depends on when I get home from work, I suppose. But I make no guarantees! The Book Thief Trailer is here! Currently: It appears to STILL be summer!